When you are in need or roof repair or replacement in Sevier County, TN, look no further than Burell Built Exteriors! Our professional roofers service both homes and commercial properties, including hotels, restaurants, and more. Contact our roofing company in Sevier County, TN at (865) 385-6926 for more details about our services. Though our family-owned and operated company is headquartered in Chattanooga and Knoxville, TN, we service a large area, offering complete roof replacement and repair. From industrial buildings to homes, we have extensive experience with all kinds of roof systems. If you’re looking for a strong flat roofing system or want stylish tile, we have a wide range of options to choose from. Our roofing company in Sevier County, TN uses only quality products for our jobs, so you can enjoy a durable roof. If you reside in one of the following communities or nearby, give our contractors a call to find out how we can help you with your roof. Our contractors are proud to specialize in a variety of roofing techniques and materials for your house or business. As a local business, we are experienced with many common problems that home- and business-owners have with their roof systems, and we have the proper solutions. We also offer emergency roof repair, so contact us at (865) 385-6926 anytime, 24 hours a day, for assistance! 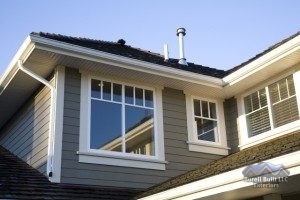 Our roofers also offer window and siding repair, in addition to other home exterior repairs. No matter the size of the job, choose our roofing company in Sevier County, TN for premier service you can trust.